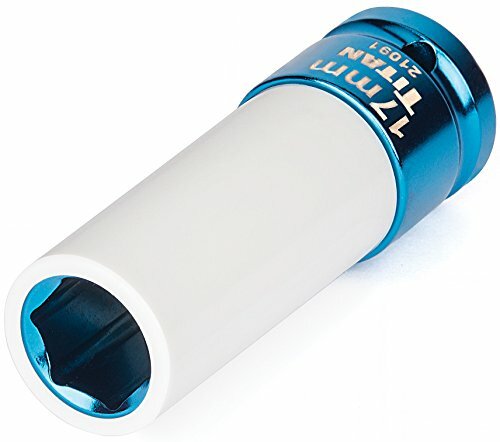 The Titan Tools 17mm non-marring lug nut socket has an attractive finish for easy identification. Titan Tools lug nut sockets feature a non-marring core and sleeve to protect the finishes of custom wheels and lug nuts. These sockets are 1/2" drive and work great with hand tools or impact drivers.